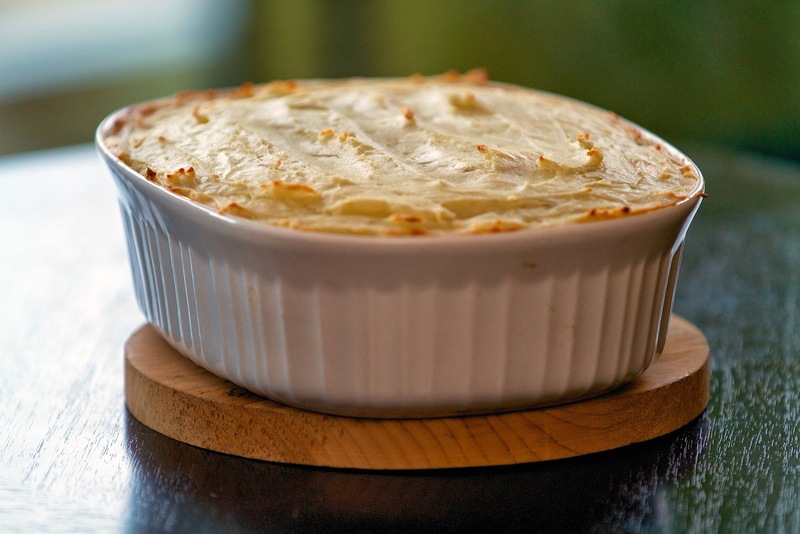 Whether you call it Shepherd's Pie or Cottage Pie, you really can't go wrong with ground meat and veggies covered in a mashed potato crust. It's classic comfort food that's traditionally made with ground beef or lamb. I decided to go for a leaner choice and used ground turkey instead. I saved the fun calories for butter, milk, and beer. Hey, after all, I have priorities. 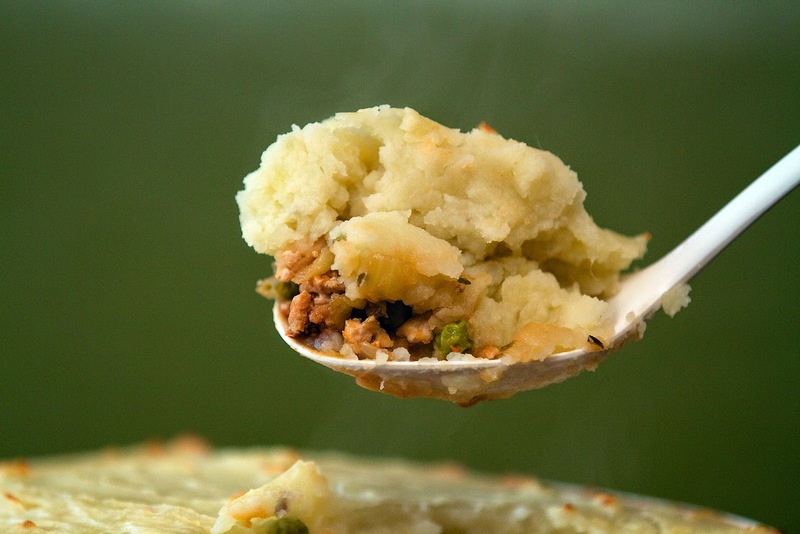 Shepherd's Pie, Cottage Pie, whatever you want to call it, I just call it delicious. In a large sauté pan over medium-high heat, heat the olive oil, add the meat and cook until browned, about 10 minutes. Remove the meat from the pan and set aside. Place the pan back on the stove and add the carrot and onion. Saute until the onion is translucent. Add the meat back into the pan along with the peas, tomato paste, beer, and herbs. Simmer until the juices thicken. Pour the mixture into a 2-quart baking dish. Set aside. Meanwhile, bring the potatoes to a boil in salted water. Cook until tender, about 20 minutes. Drain. Mash the potatoes with the milk and butter. Spread the mashed potatoes over the meat mixture. Smooth out evenly. Serve right out of the oven family style.